ATLANTA, Nov. 18, 2016 /PRNewswire/ -- Republic Services, Inc. (NYSE: RSG) announced today that the Georgia Chapter of the Solid Waste Association of North America (SWANA) has recognized the Company, together with Mas Energy, with its Landfill Gas Utilization Excellence Award. The award was presented earlier this week at the Chapter's annual conference and awards presentation on Saint Simon Island. "We are honored to be recognized with this prestigious award," said Jamey Amick, area president of Republic Services. "We are proud to be partners with Mas Energy in generating a renewable energy source that makes a meaningful and lasting environmental difference in the state of Georgia." Landfill gas-to-energy projects involve capturing methane, a byproduct of the normal decomposition of waste, from the subsurface and routing the methane to a set of internal combustion engines or turbines, which consume the gas and turn a generator. Landfill gas-to-energy projects such as these convert the methane into electricity, which can be distributed as a renewable energy source to the local power grid. "SWANA Georgia chapter is pleased to recognize Republic Services and Mas Energy with this deserving award," said Terry Dietsch, past president of SWANA Georgia Chapter. "We applaud them for being leaders in the production of sustainable green power. These projects are truly outstanding." According to the U.S. Environmental Protection Agency (EPA), 3 megawatts of renewable energy generated by landfill gas-to-energy projects is equal to preventing the carbon emissions emitted from the use of 16.6 million gallons of gasoline. Based upon EPA calculations, this project prevents carbon emissions that would otherwise be emitted by the use of more than 132 million gallons of gasoline. Nationwide, Republic Services operates 69 landfill gas-to-energy projects, which taken together generate enough renewable energy to power more than 250,000 homes, or the equivalent of every household in the city of Atlanta. Known as the Blue PlanetTM sustainability initiative, Republic is defining its approach to corporate social responsibility through reduced emissions from operations, materials management, safety, community engagement, and employee growth opportunities. Republic collects and processes approximately 5 million tons of recyclables per year at 67 recycling centers nationwide. 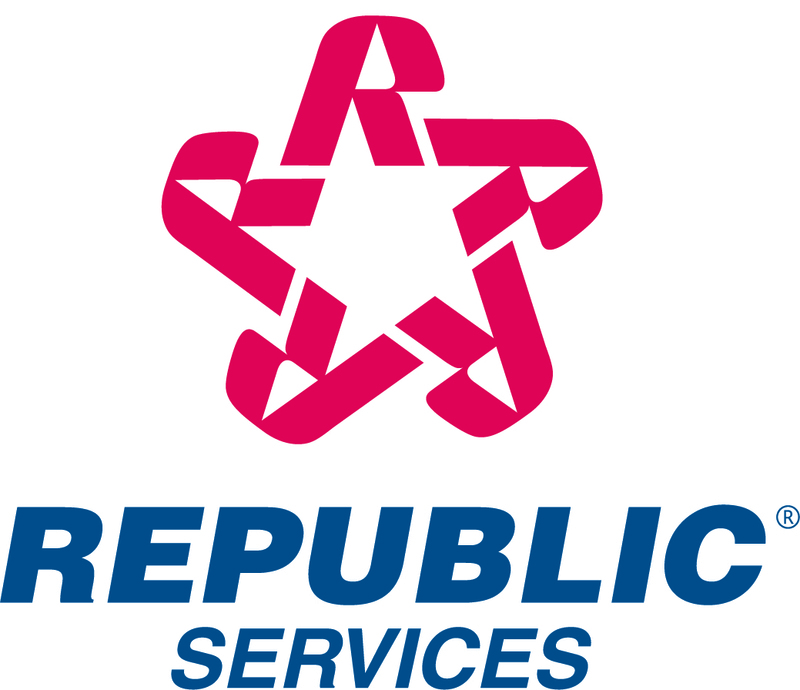 To view Republic's 2015 Sustainability Report, go to https://www.republicservices.com/sustainability. Mas Energy develops, owns and operates energy systems around the world, with a focus on renewable and clean energy—including wind, landfill gas, combined heat and power, geothermal, and district energy—as well as delivering critical energy systems in developing countries. With more than 70 years of combined energy-development experience, the firm's principals structure highly complex projects and transactions that mitigate risk and drive returns for some of the world's largest companies, investors, utilities and other energy buyers. For more information, visit www.mas-energy.com.